Hope you are all enjoying Baisakhi at your respective places. I am having a small home vacation with my baby. Coming to the product under review today. 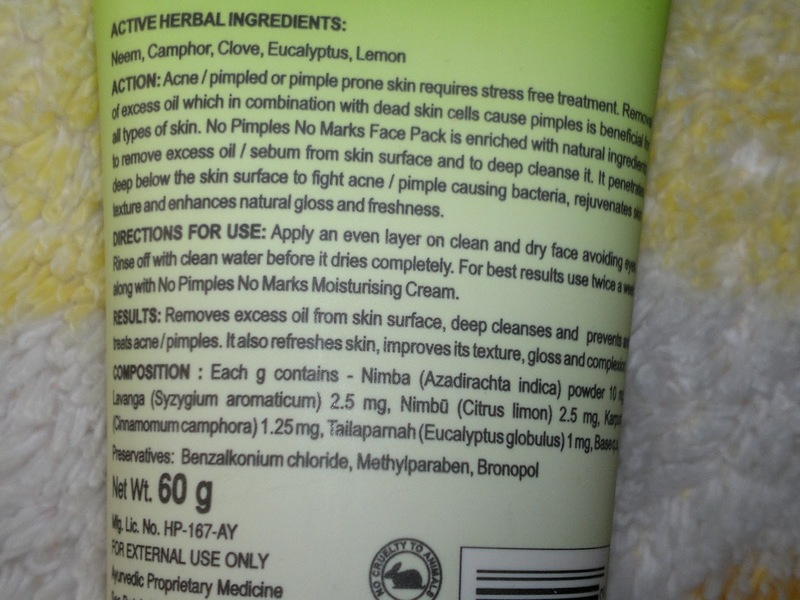 It is No Marks Face Pack for pimpled and pimple prone skin. My skin has been behaving funny of late and I have had eruption on my face which were neither pimple not any allergy but were still there. Couldn't understand the cause of occurrence. Then, I realized that the weather has changed and probably too many oil based products is the cause. 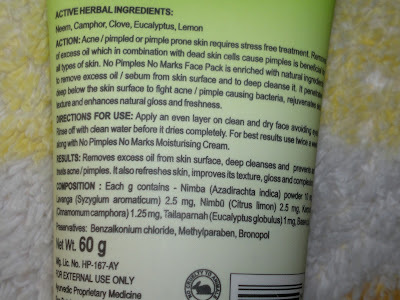 Reduced the usage of such products but still the eruptions on my face were still there. 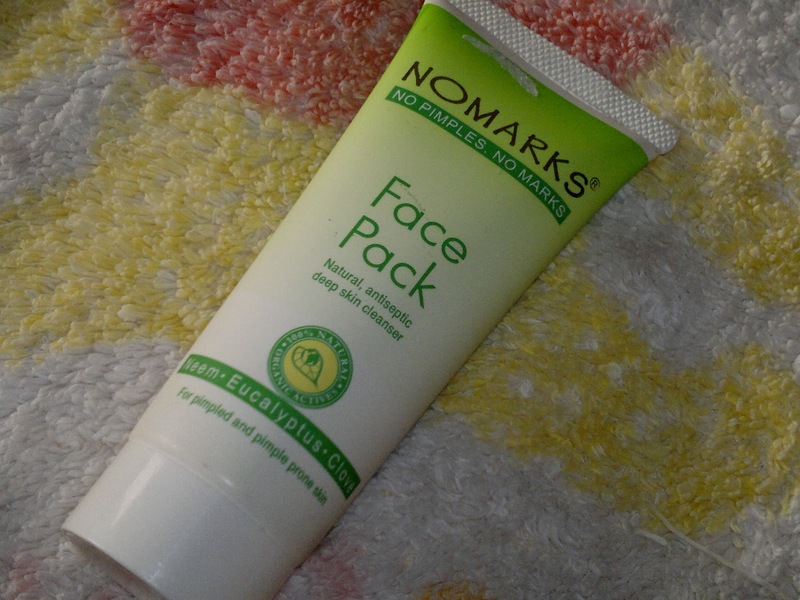 Then, one fine day while sorting through my vanity I remembered this face pack, which was a gift from my mum. Thought of using this on my eruptions and see if it was of any help. Price: Since it was a gift couldn't guess the price, but I think it should be less than INR 100 for 60 gm of the product. Packaging is standard tube packaging with a screw top, an opening is present on the top of the tube for dispensing the product. 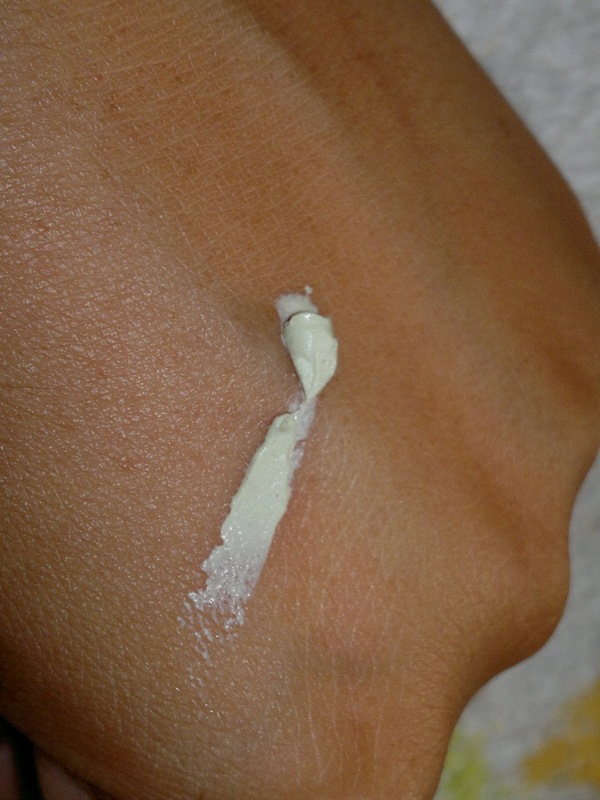 The product looks minty green in color, is quiet thick and spreads evenly on the skin. It gves a cooling sensation to the skin on application. I kept this on my face for 5 minutes as instructed on the pack and then washed it off. 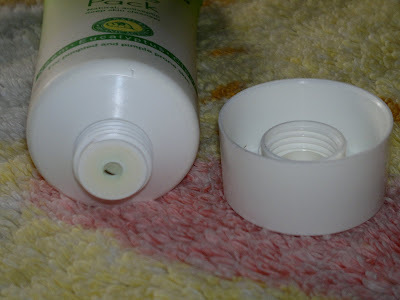 In one use, I was impressed, my skin felt clear and glowing, yet there was no trace of any dryness. In fact, by the next day, the eruptions had subsided quiet a lot. I restrained myself from using it daily, as too much of a good thing is not too good. I have been using this for the past two weeks, twice a week, and I can safely say that this does help in reducing pimples. In fact it stops the new eruptions as well. Also, this has a mild smell but nothing offensive. Product rating: A+, availability in drugstores, couldn't find this online. Would definitely recommend it to all girls suffering from acne, would help in combatting them, this product is definitely a hidden drugstore gem. Any site for online shop this product ? ?